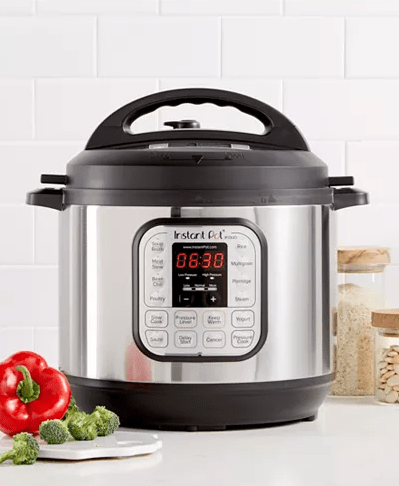 Instant Pot Sale – 7-in-1 Programmable Pressure Cooker 8-Qt $89.99! If you have been wanting to get an 8qt Instant Pot, here is a pretty nice Instant Pot sale. Right now Macy’s has the Instant Pot 7-in-1 Programmable Pressure Cooker 8-Qt on sale for $89.99! That is down from the normal price of $174.99. Plus right now they are offering free shipping on orders of $75 or more.